CNN has filed a lawsuit against the White House for banning its correspondent Jim Acosta from the premises. Acosta had his press pass — or "hard pass," in Secret Service terminology — revoked hours after a contentious White House press conference with President Trump last Wednesday, the afternoon following the midterm elections. Filed in U.S. District Court in Washington, D.C., on Tuesday morning, the lawsuit claims that Acosta's First Amendment and Fifth Amendment rights were violated by the ban. The cable news network is seeking immediate restoration of his credentials and a court injunction that would prevent the White House from barring Acosta again. "This is not a step we have taken lightly. But the White House action is unprecedented," CNN president Jeff Zucker said in an internal staff memo. The case was assigned to Judge Timothy Kelly, a Trump appointee. CNN and Acosta are plaintiffs in the lawsuit. 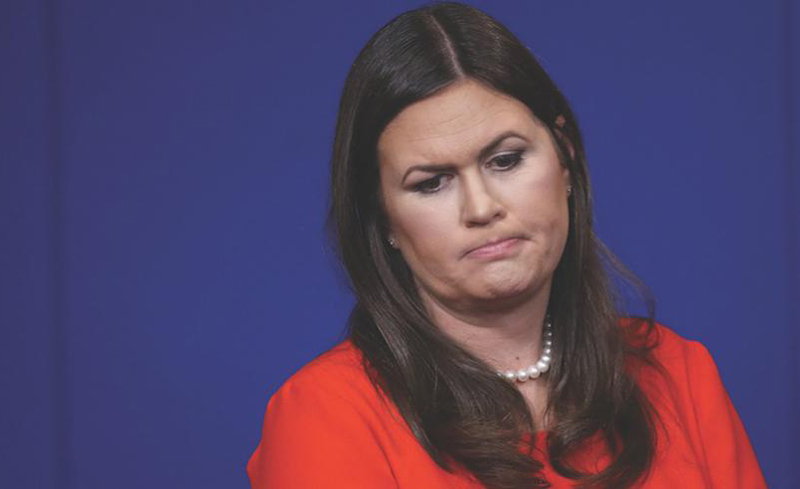 There are six defendants: Trump, chief of staff John Kelly, press secretary Sarah Huckabee Sanders, deputy chief of staff for communications Bill Shine, Secret Service director Randolph Alles, and the Secret Service officer who revoked Acosta's hard pass. Sanders called the suit "grandstanding" and said the White House would "vigorously defend" itself. The White House Correspondents' Association said it "strongly supports CNN's goal of seeing their correspondent regain a US Secret Service security credential that the White House should not have taken away in the first place." The ACLU commented on the lawsuit in a statement on Tuesday: "It is un-American and unlawful for the president to expel a reporter from the WH briefing room for doing his job," the organization said. "It shouldn't take a lawsuit from CNN to remind the president of the First Amendment." During last Wednesday's press conference, Acosta was questioning Trump when the president attempted to cut him off by calling on another reporter. A press intern who was passing a microphone among reporters repeatedly tried to take it from Acosta, who wouldn’t yield. At one point her arm connected with Acosta’s wrist. Sanders then shared a seemingly doctored video — which does not show Acosta "placing his hands" on the intern — around 10:30pm. She wrote, "We stand by our decision to revoke this individual’s hard pass. We will not tolerate the inappropriate behavior clearly documented in this video." Several journalists pointed out on Twitter that Sanders' video apparently originated on InfoWars, a far-right conspiracy theory site that has recently been banned by YouTube and Twitter for posting false, incendiary material.